With a few legitimately exciting top-of-the-line races, the 2015 Academy Awards could actually contain some uncertainty. I ran through my Will Win, Second-Place, and Should Win choices for eight of the main categories. When it comes to the Oscars, it’s amazing how fickle momentum can be. Since this summer, Boyhood had a comfortable lead as the frontrunner for Best Picture. It was beloved by critics, well-liked by audiences, and, due to its 12-years-in-the-making backstory, respected by the people who actually vote for the award, the Academy. Then, stunningly, its momentum was halted. 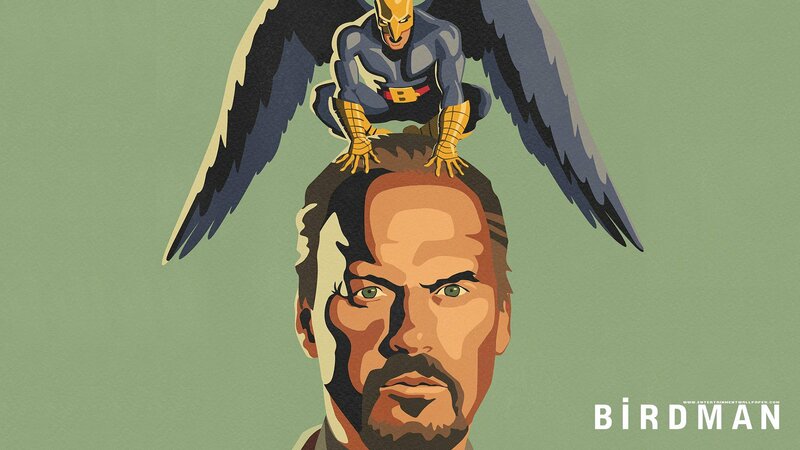 It’s not as if Birdman necessarily came out of nowhere. It’s an art film about the industry that utilizes showy, innovative techniques that make your head spin, so it’s not really a surprise the Academy eventually fell for it. The shock was in how strong it started to look as the Oscar race wore on. Each guild — Producers, Writers, Directors — chose the bird over the boy, and suddenly the universal coming-of-age tale was no longer out in front. Honestly, this is all very good for the Oscars. One, because Boyhood and Birdman are two legitimately beautiful works. I enjoyed both of them greatly and there have been (recent) years where the frontrunner(s) have been far from deserving. Two, this kind of competition and suspense has been sorely missing (minus last year) from the competition over the last several seasons. For the most part, The King’s Speech, The Artist, and Argo all cruised to their Best Picture wins. Now, for the second year in a row, the announcement won’t be a foregone conclusion. So who takes the trophy? No idea. My hunch is with Birdman just because the Academy loves a movie that dramatizes their profession and slams critics the way that film does. If not, it will be Boyhood. It seems like there is really no room this year for a potential spoiler, no matter how many Wes-heads there are out there or how much shady business Harvey Weinstein does on behalf of The Imitation Game. Despite putting Birdman at my number two film of 2014 and Boyhood at number three, my mind has already begun to change. I’d be fine with either winning, but now that I’ve had a few months away from both I’ve found that Boyhood‘s achievement just resonated more. It affected me immediately and long-term in a deeper way than Birdman. Simple as that. Incredibly, Best Director has split from Best Picture two consecutive years now. If it were to happen again on Sunday that would be the first time, as far as I can tell, since 1935-37. So that’s the history we are looking at here — pre-World War II. And yet, I think the chances are decent. 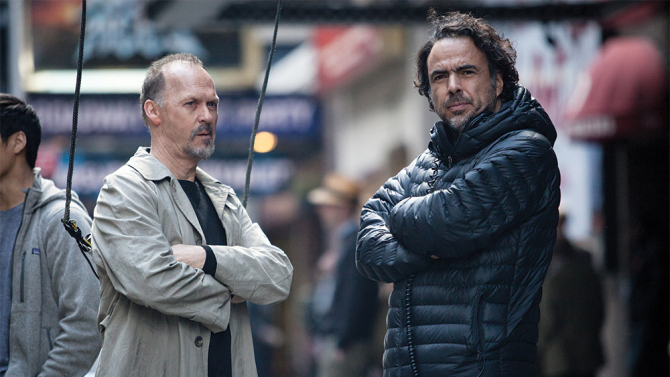 Alejandro González Iñárritu’s work on Birdman was far more stylish than Richard Linklater’s on Boyhood. I could easily see the Academy rewarding Inarritu’s directorial pyrotechnics, while Boyhood narrowly beats out his film for Best Picture. I’ve gone back and forth on this award as well. Either would be worthy, however I think Linklater is the more deserving. Managing everything that guy had to manage (shooting schedules, child actors, etc.) over twelve years is insane to think about. Mostly, though, the most amazing thing about his movie is that, despite its length and subject matter, Boyhood doesn’t ever feel like its straining for greatness. Everything feels as organic and authentic as possible. Maybe it’s just his personality, but when he speaks about the production there is no pretension. You can tell he just thought it would be a cool idea — and it was. Most directors would realize they are making their masterpiece and try to do too much. Not Linklater. The Screen Actor’s Guild is a highly accurate precursor for the Best Actor Oscar. 2003 was the last time the two diverged, when Sean Penn (Mystic River) won the Oscar over Captain Jack Sparrow himself. Yep, Johnny Depp was the SAG winner that year for the beginning of a never-ending and nonsensical franchise; SAG would probably like to run that one back. Anyway, we have a legitimate two-horse race in Best Actor for the first time in at least 3-4 years. 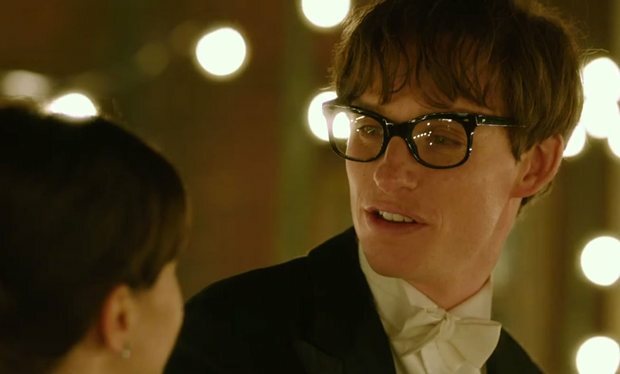 Eddie Redmayne took home the SAG award for his turn as Stephen Hawking in The Theory of Everything, while Michael Keaton remains the Mickey Rourke sentimental-comeback choice. Which doesn’t mean he wouldn’t deserve to win; his performance is riveting, nuanced, and electric throughout. But has the Academy fallen too hard for the young British dude to finish Keaton’s story? I don’t think they have. I’m going with the small upset of Keaton lifting the statuette. Many times, it seems like the industry votes for the person they would most like to see up on stage thanking them. This year, that’s Keaton hands down. Redmayne’s is actually the only performance I haven’t seen of these five, but I’m going with Keaton as my choice. I found things to love about the others: Steve Carell’s spellbinding transformation, Bradley Cooper’s hulking complexity, and Benedict Cumberbatch’s ever-so-slight twist on his Sherlock persona. Keaton still stood out to me in Birdman more than the rest of them. There’s no need to really even talk about this much: it’s going to Julianne Moore. Like Cate Blanchett last year, this is her award. It may not be coming because of a great movie and it’s serving more as a career achievement award, but it’s Moore’s to lose. She has proved herself remarkably consistent over the years and you can bet the Academy is fine with handing her an Oscar for such a meaty role. Although the only performance I saw of the nominees was Rosamund Pike for Gone Girl, I have a feeling she would still be my choice if I had seen all of them. Pike’s lethal range in that movie was the best I saw from a woman in 2014. Unfortunately, I don’t think the Academy enjoyed David Fincher’s film so much, as this was the only Oscar nomination it garnered. 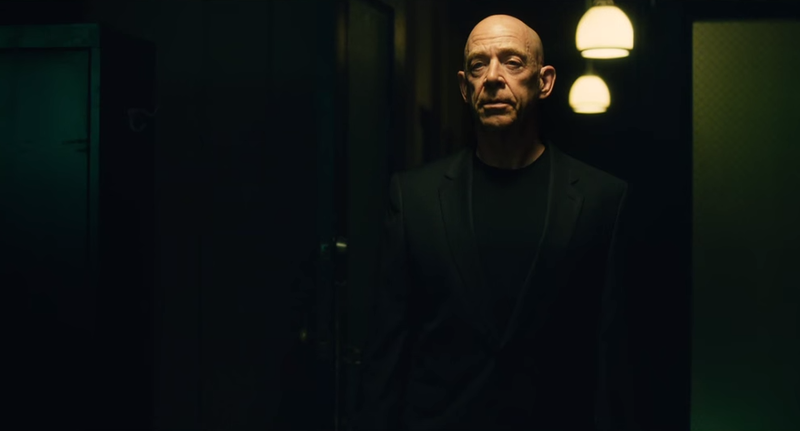 Unless Birdman becomes a true juggernaut throughout the night, the winner will quite obviously be Whiplash‘s J.K. Simmons for his earth-shattering take on an abusive jazz teacher. I say this because Edward Norton is the spoiler here and I think his chances are better than many think. He’s a much more well-known name, he’s in a film the Academy likes more, and most importantly, he’s really, really good. Still, Simmons is a career character actor who just submitted the performance of his life. It’s more likely his peers reward him for that than they give every award to Birdman. It was too well-rounded of a year. Those two, Mark Ruffalo, and Ethan Hawke were all fantastic, so it’s kind of difficult to pick one. While I’m often partial to Norton’s work, Simmons was just too irresistible. Similarly, this award is all but locked up for Patricia Arquette, with Birdman and Emma Stone lurking again as a spoiler. Arquette has won all of the precursor awards and I don’t see Stone’s performance being memorable enough to unseat what she brought in Boyhood over a period of 12 years. Keira Knightley was excellent in The Imitation Game, but it’s pretty clear she wasn’t given enough of a platform in that movie to actually win this award. Having seen three of the five nominees, I thought Stone was good-not-great in every scene but one and Knightley did her job without stealing any scenes. I’ll take Arquette for her steady, emotionally and intellectually pitch-perfect work. This is clearly the more stacked of the two writing categories (especially if Whiplash was in Original, as it should’ve been). Boyhood and — to a lesser extent — Birdman doesn’t feel like a writer’s triumph, so this could be a place for the Academy to welcome other options. The Grand Budapest Hotel soared to a surprising nine nominations, so I think this is one of the few it actually wins because of its complex storytelling. Nightcrawler was my favorite film of the year, so you can guess where I’m going with this choice. Unfortunately, it will need a half-miracle to sneak past the other three strong candidates here. You can probably throw out Inherent Vice (too confusing for audiences predisposed to straightforward naratives) and American Sniper (despite the money its made, the politics and controversy surrounding it have gotten too loud), so that leaves three contenders, each with a decent chance to take it. The Theory of Everything may win Actor and Score, so counting on a third Oscar for a film many see as nowhere near a Picture contender may be a little presumptuous. Then there is the prestige biopic (The Imitation Game) vs. the ballsy indie flick (Whiplash). I really don’t know which way they will lean, but The Imitation Game would be the choice for those looking to spread the wealth around since most of the other Best Picture nominees will likely win something. However, doesn’t The Imitation Game seem like the kind of safe-ish, “Oscar-type” movie that gets a bunch of nominations and no wins? I thought American Sniper‘s script was borderline awful, I didn’t see The Theory of Everything, and I just gave my dismissive opinion on The Imitation Game above. Inherent Vice was a blast to watch, even if I didn’t fully understand what was happening half the time (and I read the book, which I’m not sure even matters). 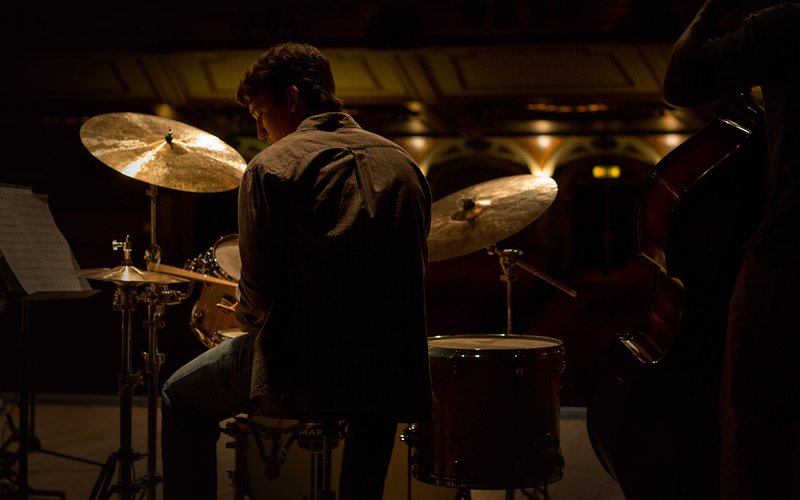 I’ll give my (non-existent) award to Whiplash for a screenplay that started off simmering and gradually turned white-hot by the end.